Taken this morning in Michigan's Eastern Upper Peninsula after a fresh snow. 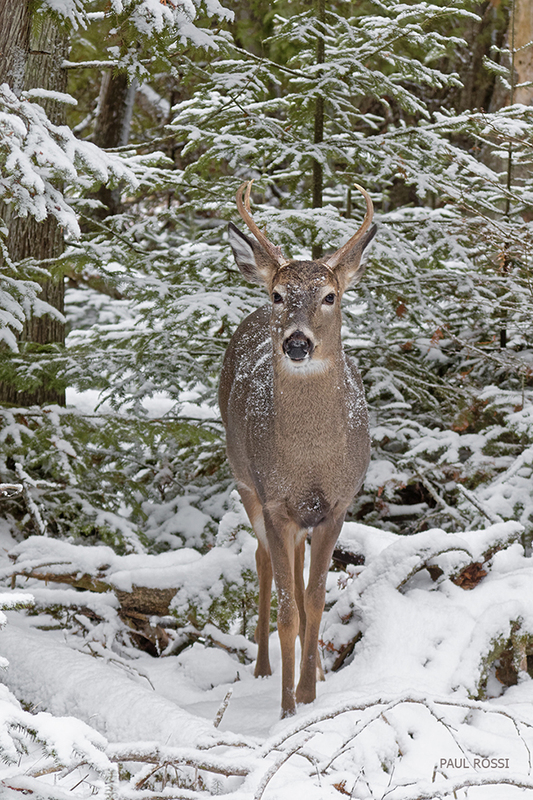 The fresh snow on the young buck is a wonderful accent, Paul. Beautiful image. What a sweet young buck in a lovely winter setting, Paul. I love his tentative body language as he checks things out. I stalked this deer on a peninsula tip where I know the main trail that the deer use to leave the peninsula in the morning about 1-2 hours after sunrise. I waited (somewhat concealed) at a point where this one would approach me. I was surprised it did.